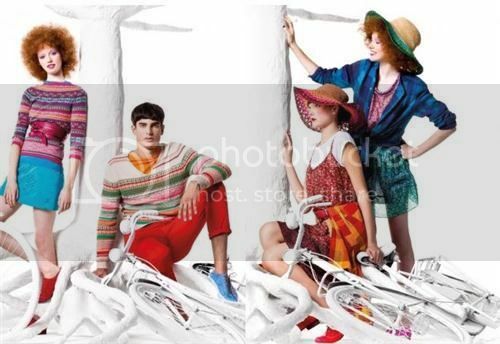 These are the campaigns photos of the brand United Colors Benetton for this year 2012. and I think, these pieces are includes from the brand’s, United Colors Benetton, spring summer collection 2012. Because these pieces had this summer touched, and they did played on the colours for each of these pieces. Though, most of the time United Colors Benetton are used to have these pieces that has brighter colours but I think, these pieces are way colorful than to the usual they did. These new clothing are proper in spring summer collection.